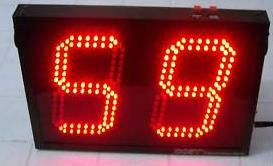 These are a must for any race finish line, not only for the competitors but for the professional touch it will give your event. 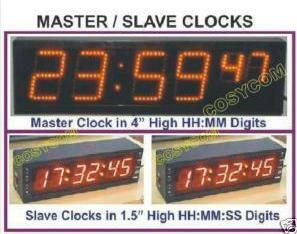 These Race clocks are used a lot at marathons, triathlons and other endurance sports. 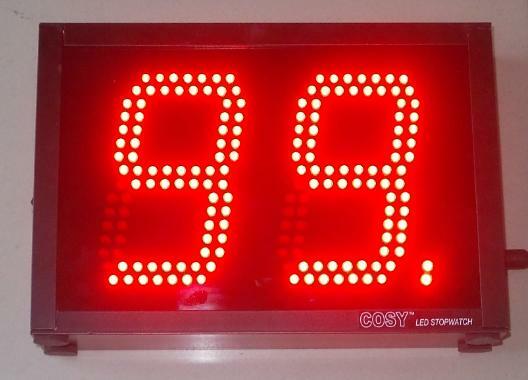 These Led race clocks can countdown or count up sport timing for fitness training. 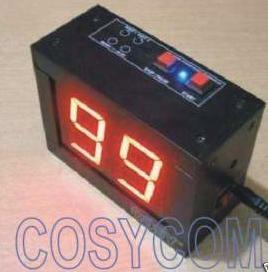 It can countdown hours minutes seconds or minutes seconds hundreds. 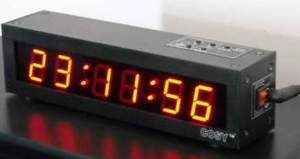 All of our Race clocks do timing to 1/100 of a second. 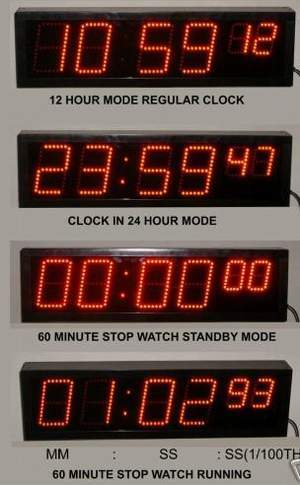 Time in hours, minutes, seconds or minutes, seconds and hundredths of seconds. 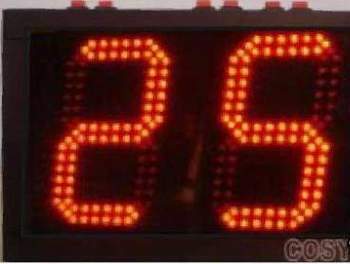 Counting up and down. 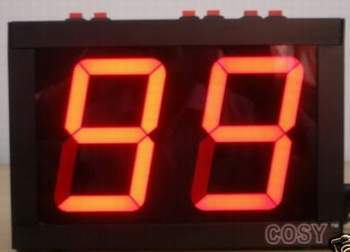 Programmable countdown with preset. 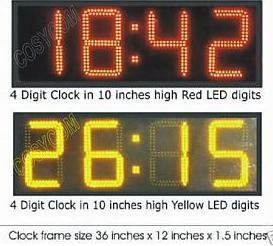 We manufacture digital led stopwatch clock and timers, for runners . Running can be a good method of staying in shape and getting in recommended aerobic exercise multiple times a week. Running is among the best aerobic exercises for physical conditioning of your heart and lungs. It helps ensure the efficient flow of blood and oxygen throughout the body. Runners may be concerned with how fast they run or their current running pace. 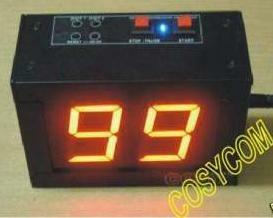 These are running timers which can keep track of your run time. 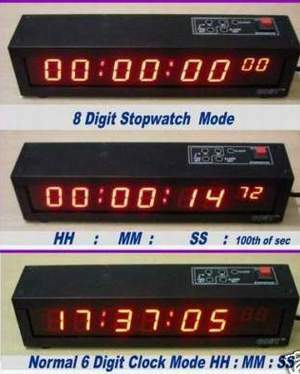 Stopwatches offer a convenient way to get an accurate time for a run.